A simple way for you to choose beverages that won’t harm your teeth is to keep it simple and make water their go-to drink. However, for safety, thrift, and convenience, many dental patients choose to drink bottled water or filter it themselves at home. 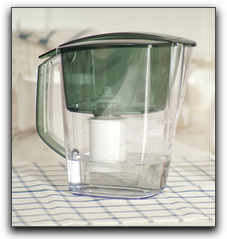 Filtered water can be detrimental to oral health if it doesn’t contain fluoride, a great tooth decay preventer. I’m Dr. Touraj Habashi, an experienced Las Vegas dentist serving the Summerlin, Henderson, and North Las Vegas areas. I am passionate about helping my patients have healthy mouths and beautiful smiles. Contact us today at 702-852-2829 and we can answer any questions you have about dental health, cosmetic dentistry, or smile makeovers. We have been serving the Las Vegas area since 2017, and we would love to make you another one of our satisfied patients. If you’re wondering about fluoride and tooth decay, or dental veneers and teeth whitening, we’d be happy to schedule a consultation for you. Call now!